Call me sentimental, but I’ve always loved Christmas. As a kid, I was all about velcroed sheep, lighting candles, and singing Christmas carols. Christmas was one of the few times my unbelieving, childish heart was ok with Jesus stuff. Of course, I was way more excited about the presents under the tree than the advent wreathe on the kitchen table. But even as a youngster I saw that both had their place. Christmas is always a great time to make much of Christ. It’s a great time to start family devotions and to talk to our kids about the glorious of the gospel. Below I’ve listed some the best resources available (i.e those that go beyond writing “Merry Christmas” on red coffee cup) that help our families keep Christ in Christmas! Kevin DeYoung invites families to come cuddle up by the fire as they listen to the Christmas story. But instead of starting with gospel of Luke, or the shepherds or even baby Jesus, DeYoung begins the story in Genesis. From Genesis on, he shows how all of the Bible’s stories point to Jesus. The Christmas story is not about a baby. It is about a king who redeems his people from their sin. It is about a savior who brings Adam and Eve’s kids back into paradise. It is about a King who rescues the lost. Divided into ten short chapters, the book could be your advent reading this December or could be a great way to read the Christmas story on December 25! Designed around nativity scenes, lighting candles and scripture, the book is wonderful, newer resource with a traditional feel. The devotions are built on the Biblical Christmas story and also are tied to the compelling story of thieving orphan. In addition to being biblical and easy to understand, the devotions are also infused with object lessons and Christmas carols. Marty Machowski has helpfully planned out your family’s Christmas devotions. packed and will make you think. My wife and I have been reading this little book together. It has proved to be an encouragement to my soul and has helped to keep the Christmas story fresh. The devotions are not directly tied to Christmas carols or the traditional advent wreath. But as devotions, I have found none better. This is a great resource for those on the go and with older children. Very similar in style and to Good New of Great Joy, this book focuses more on the secondary or theological texts of Christmas looking at Acts, Hebrews, and the Pauline Epistles. It is a great resource, highlighting the beauty of our savior in short, two to three page devotions. Do you know? If not or if your kids have questions about the origin of Santa, gift giving, caroling and a host of other Christmas traditions, you should join Buck Denver for his Christmas party. 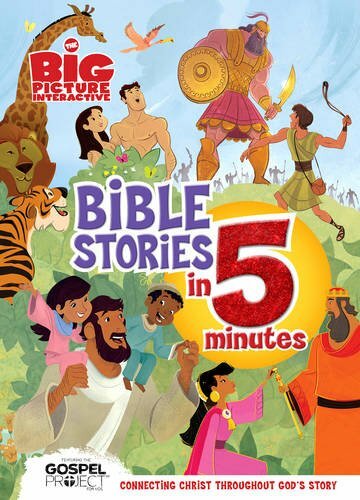 Made by the creator of Veggie Tales, this almost hour long DVD is filled with puppets, songs, and animations that will help us all focus more on the Christ child! As the T.V. ad goes: long title amazing results. Admittedly, this book is not solely devoted to Christmas, but it does have one of the best retellings of the Christmas story. Beautifully illustrated, the book offers both an engaging and accurate account of Jesus’ birth, beginning with the Angel appearing to Mary and ending with Jesus’s flight to Egypt. And the best part about this story is that it only takes five minutes to read. This book is perfect for children everywhere.